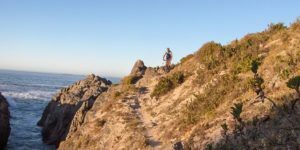 Mountain Biking in Cape Town is well established but there are also many other mountain bike trails in the Cape west coast. With a little bit of effort it is easy to find an MTB trail in Beaverlac, Cederberg and Piketberg. This is the ultimate way to experience the west coast, rent a bike. Out in the open riding the many country roads and tracks that exist from Malmsbury to Darling to Langebaan and Citrusdal. Go into the mountains for a different perspective on the Sandveld and Swartland, see the little things that build the character of the region. There are many mountain biking options in the greater West Coast region. 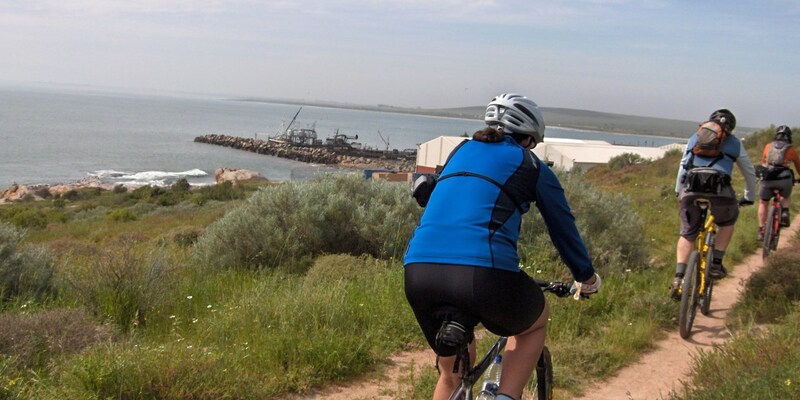 Some well known mountain bike destinations include Malmsbury, Piketberg, Beaverlac and the Cederberg. 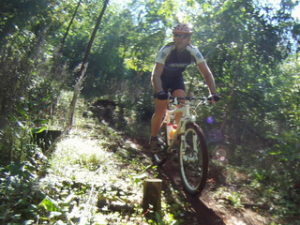 However there are also many other secret and undiscovered mountain bike trails and routes on the west coast. Many places are off the beaten track and not all that well known. Mountain bike trails are very seldom marked or graded and so it is difficult to know what to expect. Unless you are experienced and adventurous it can seem a bit daunting heading out on an unknown trail. Mountain biking on the west coast is an ever changing experience, the vast range of road conditions, weather patterns and fauna and flora always make it interesting. Ground and surface types on the west coast vary greatly for mountain biking. There is everything from sand and loose gravel, to hard packed calcrete and corrugated roads, to rocky climbs and marshy vleis, to coastal and mountainous single track. The cool moist winter months mean that many of the sandy tracks become rideable for 3-4 months of the year, allowing for a variety of fynbos single track routes. The west coast is suitable for mountain biking all year round. The temperate and relatively windless spring and autumn months make for extremely pleasant cycling, and this is probably the best time of year. The summer months are cooled by the prevailing southerly winds that guarantee a big blue sky and rainless summer season. On windless days temperatures inland can be scorching so early morning rides are the way to go. Typically a winter rain fall region the west coast receives most of its low rainfall in the space of 3-4 months. One of the best kept secrets around is that the West coast is the ultimate winter riding destination. Its not too cold or too wet and is just right for long pleasant days of mountain biking. No real thermal wear is necessary, a normal cycling shirt with a wind breaker/rain shield is adequate for the odd chilly morning and also suitable for a windy summers day. The flora undergoes a dramatic change from the brown grass in summer to the lush green vegetation in winter. This growth spurt in winter results in amazing displays of wild flowers in the spring months. 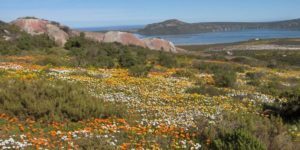 These flowers are everywhere and any ride in the west coast region is almost guaranteed a to pass through a colourful flower field. Along with the flowers come weeds and thorns. By the beginning of summer the devil thorns have hardened and some serious puncture protection is required. West Coast Fauna The west coast is home to many types of smaller buck, mammals, birds and reptiles. Being a relatively unspoiled and wild area means that animal encounters are always guaranteed. In terms of the animals encountered, the biggest threats are Ostriches with chicks which is during spring to early summer. The parents are very protective and are not scared to ward off any threats to protect the chicks. In summer all of the resident snakes become active, with the non poisonous mole snake being the most prevalent. Venomous snakes to watch out for are the Cape Cobra and Puff Adder.